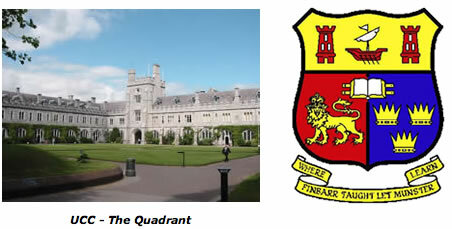 University College Cork (UCC) launched a campaign in 2009 to be the first campus to achieve “Green Flag” status. As part of this campaign UCC must demonstrate as much student awareness of the environment as possible. In conjunction with the green campus campaign, UCC organised a photo competition titled “The Good, the Green and the Ugly”. This involved students taking photographs of UCC campus from aspects which both flatter and which also depict improvements that need to be made around the grounds of the University. On January 14th 2010, there was a viewing of the photographs at UCC to announce the best photographs. There was a great number of entries depicting various areas of UCC campus and grounds. The recent extremes of weather, both the flooding and snow, also featured in some of the photographs. Lehane Environmental were delighted to sponsor this event. The winning photograph was taken by Tad Kirakowski and can be seen on this link. Lehane Environmental donated a bicycle for the winner – a worthwhile item for any student – and particularly appropriate given Tad’s photograph featured an abandoned bicycle wheel!